When it comes to healthy smoothies, there are two camps of people: the "no greens in my smoothie" people and those who put greens in everything, including their smoothies. My family falls into the first category. However, after I finally realized that my kid was rejecting anything and everything green that I put on his plate, I tried to come up with ways to sneak the veggies into what he ate in ways he wouldn't notice (the same goes for my husband). So I played around with smoothie recipes until I finally got one that everyone loves. 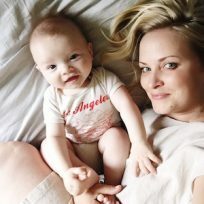 My son drinks it down like a milkshake, my husband loves it, and I even enjoyed a few during my super picky first trimester of pregnancy. 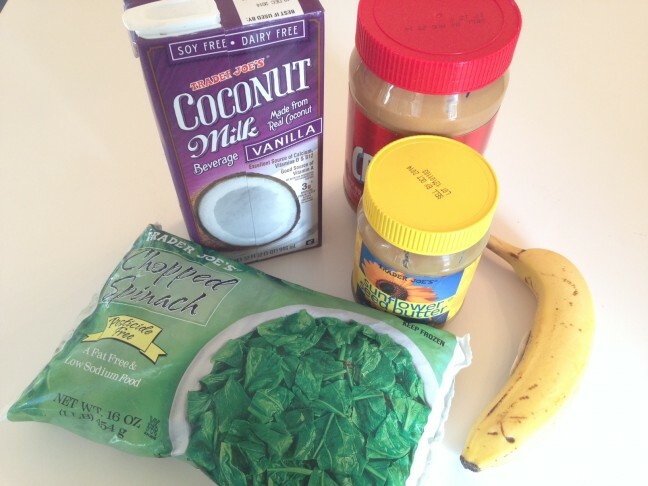 Here is my recipe for the tastiest green smoothie ever. 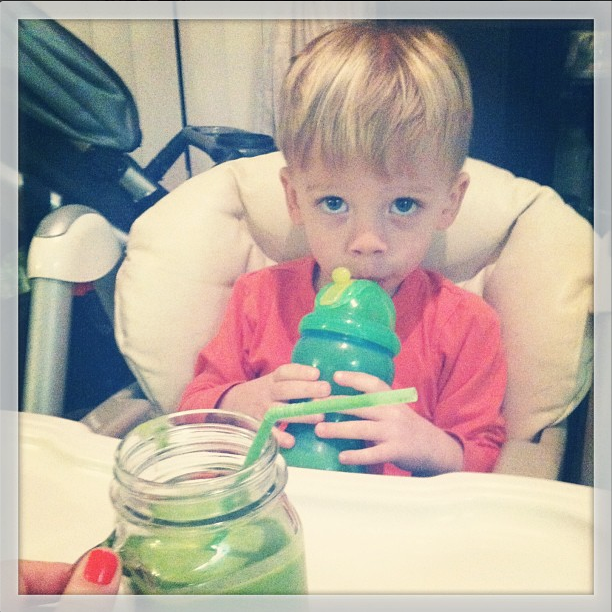 I finally concocted a healthy smoothie that's a hit with every member of my family! Step 1: Add your ingredients to the blender in the order above). Step 2: Pulse your blender on high until the ingredients are liquified. If you need more milk, or more frozen banana, add accordingly. Step 3: Pour into a glass, throw in a straw, and enjoy. It tastes like a peanut butter and banana milkshake---I promise! Cheers.